In the eyes of the human beholder, the consumption of one's own offspring is not a particularly nice act, and it is also often viewed as maladaptive, that is, an aberration. However, under some circumstances this behaviour can be a useful way of terminating parental care. When the costs of providing care are extremely high or the benefits of performing care are especially low, parents will sometimes eat their own young. This is called filial cannibalism. This behaviour enables them to cease to care while recouping lost energy. They concluded that it is important for the fish to perceive a continuous presence of eggs in their breeding cavity to keep acting in "parental mode" – it did not matter whether the eggs or hatched young were their own or mixed with foreign brood. Cannibalism occurred when eggs were taken away for extended periods and then returned. The extent of cannibalism was dependent on the size and age of the brood. 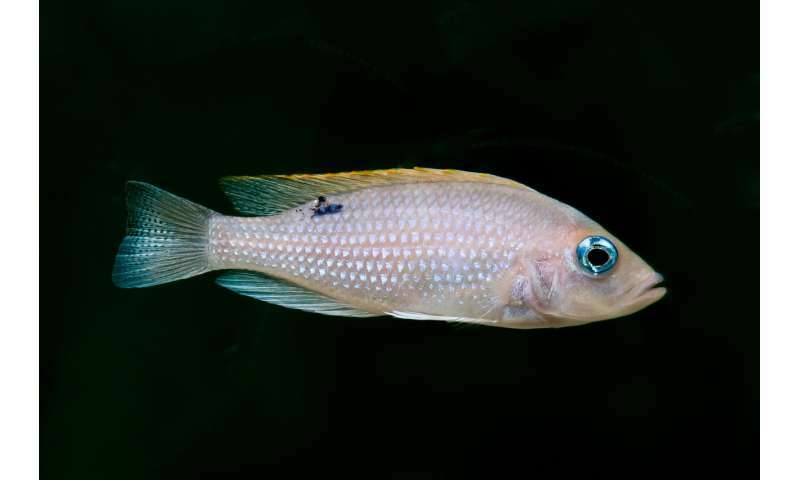 "Our theory was that longer phases of parental care keep the fish in "parenting mode". In this condition it actually did not matter whether they were caring for their own or foreign eggs," explains behavioural ecologist Filipa Cunha-Saraiva. This likely has to do with hormonal changes happening due to a loss of visual and tactile stimuli. Spawning pairs, on the other hand, never engaged in egg cannibalism, whereas non-spawning pairs immediately devoured foreign broods of eggs. The scientists were also surprised to learn that across all experiments cannibalism was mostly performed by the females. Female filial cannibalism is often associated with increased environmental stress or reduced food provisioning. "Males were even actively prevented by females attending brood cavities from entering the cavity. This way the females effectively had the power to decide whether to terminate or continue parental care," Cunha-Saraiva explains This study is among the first to show that both females and males devour their own young. These results expand the scientific understanding of cannibalism in biparental species.